Man, it was definitely a good eats at home time while snowed in! Love those little treasures God brings to us! 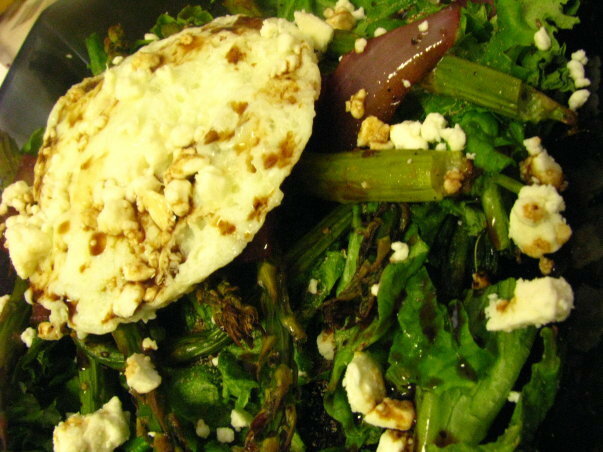 I’ve seen many recipes for eggs and asparagus – with the whole fried egg on top of steamed asparagus with the runny yolk. While this is great, it has more calories than I want to spend on it, so here is my version! SO GOOD! I think roasted asparagus has to be some of the world’s BEST GOOD EATS!